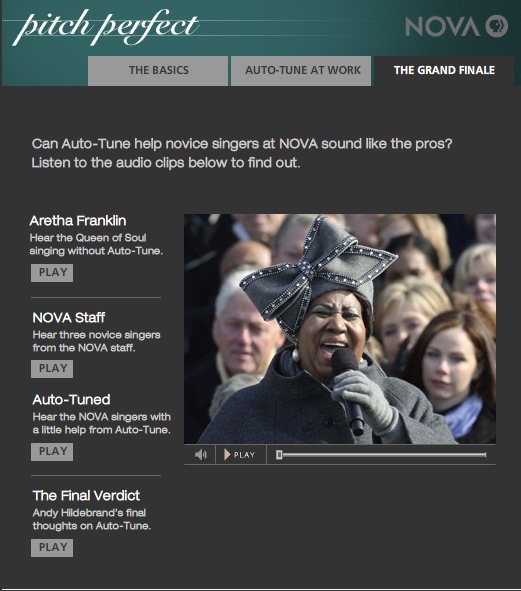 Learning to sing like Aretha Franklin isn’t something you can do overnight. But over the past decade, recording studios have been fudging things a bit with software called Auto-Tune, which enables them to change the pitch of sour notes. In this interactive, find out how it works and see if it can make even hopeless singers, like some on the NOVA staff, sound tolerable.